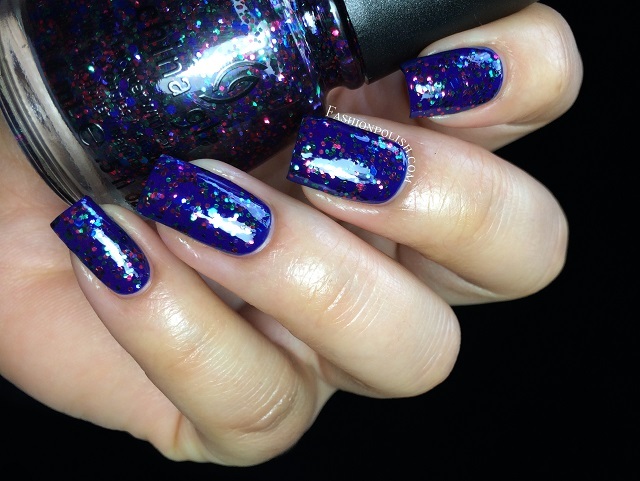 Fashion Polish: China Glaze Monsters Ball collection review! China Glaze Monsters Ball collection review! I just can't believe Halloween's already around the corner! It's like I've been swallowed in a time vortex or something, Summer was just yesterday! 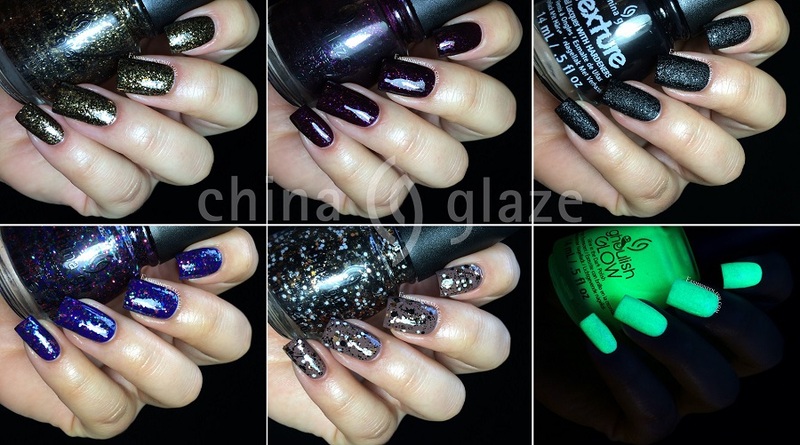 But... One thing I love about Halloween is the China Glaze collections, there's always a gem or two to be found! So, without further ado... 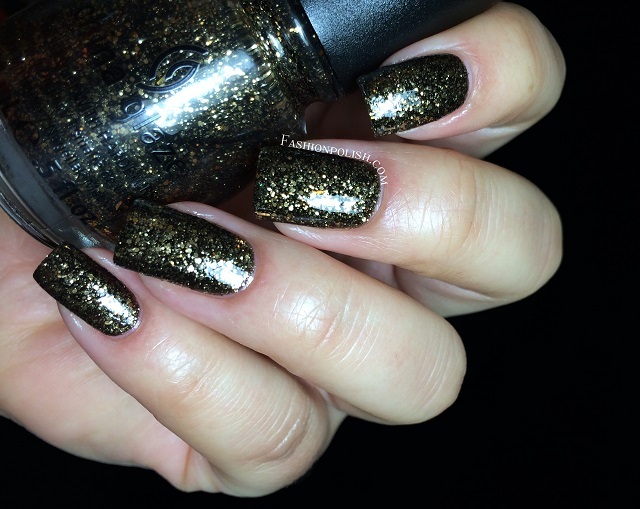 The China Glaze Monsters Ball Collex! Bat My Eyes is the one polish I was the most excited about from the promo pics and it's even better in real life than I could have hoped for! 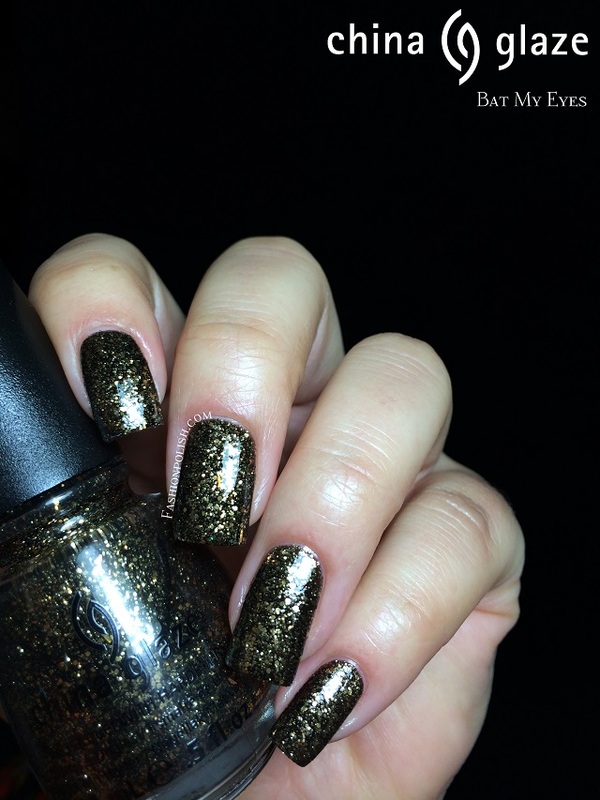 Antique, complex, multi-faceted mix of gold glitters in a dark base, it's just the perfect mysterious gold glitter for the season. Formula was flawless and I used 2 coats for complete coverage in my swatches below. 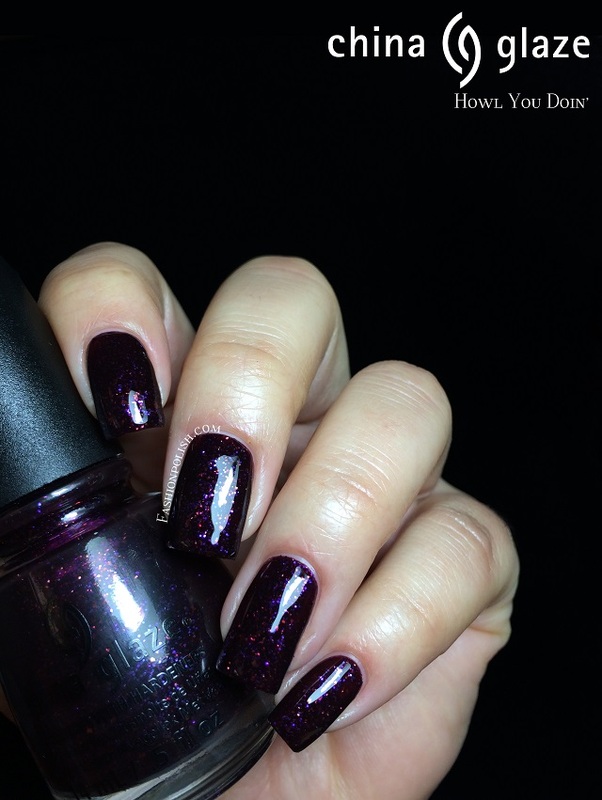 Howl You Doin' is the one other color I longed to see, needless to remind you I love vampies! 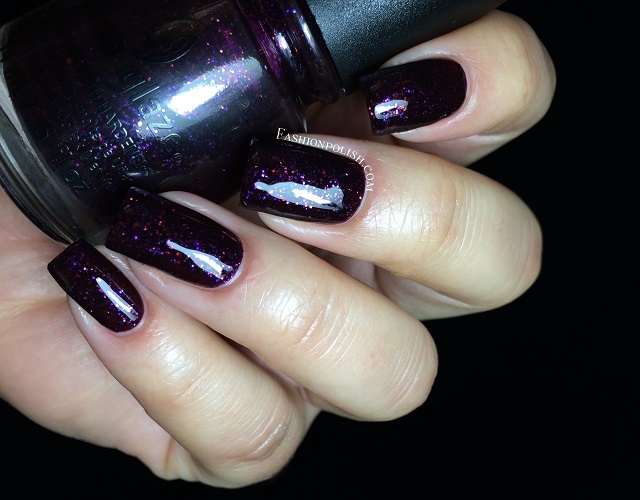 I expected it to look similar to OPI Merry Midnight or Orly Fowl Play but it's more a glitter than a pure flakie : deep eggplant purple jelly with pink and purple glitters and just a tad or orange flakies. Bottom point, it's a really nice surprise and I love that it's different from what I imagined, who needs another dupe? Application was a bit tricky as this one was on the thick side but 2 careful coats were enough to even it out. 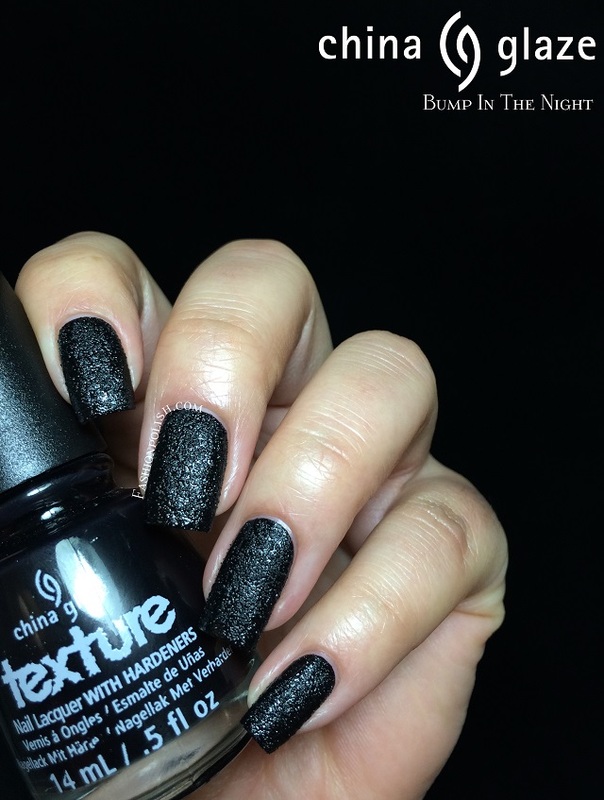 Bump In The Night is nothing but THE best black textured I have ever tried! It didn't look like much in the bottle but the very first stroke of polish revealed the purest, most pigmented and absolutely fantastic black EVER. Yes! If you've never tried a true one coater before, this one might very well blow your brains out LOL Pretty awesome for Halloween if you ask me! Depending on your texture "density" preferences, you might want to use 2 coats, that's what I used here for macro purposes but when I wore it "in real life" I was happy with just one. 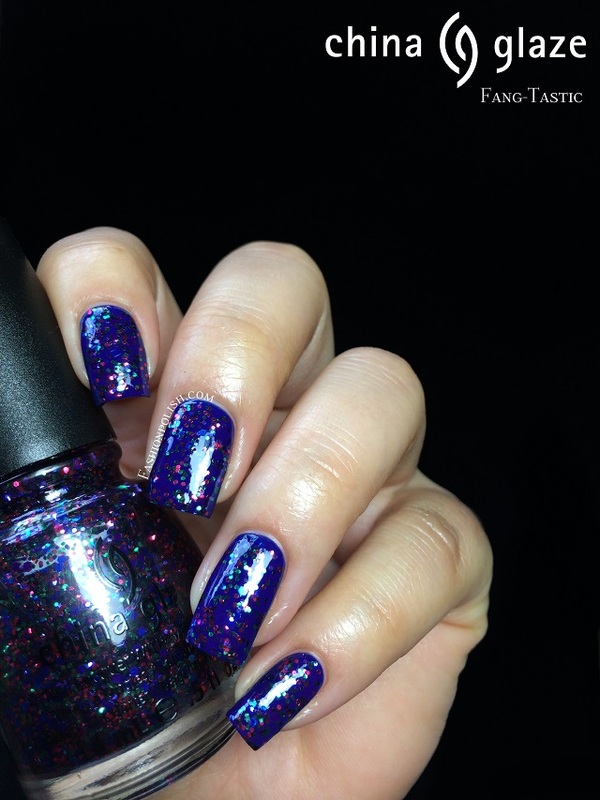 Fang-Tastic is a mix of pink, green, purple and blue glitters in a clear base. It doesn't necessarily call for scary, other-worldy, out-of-the-grave Halloween to me but Halloween's much more than that isn't it? It's also fun and colorful costumes, right? I used 1 good dabbed coat over China Glaze Man Hunt. 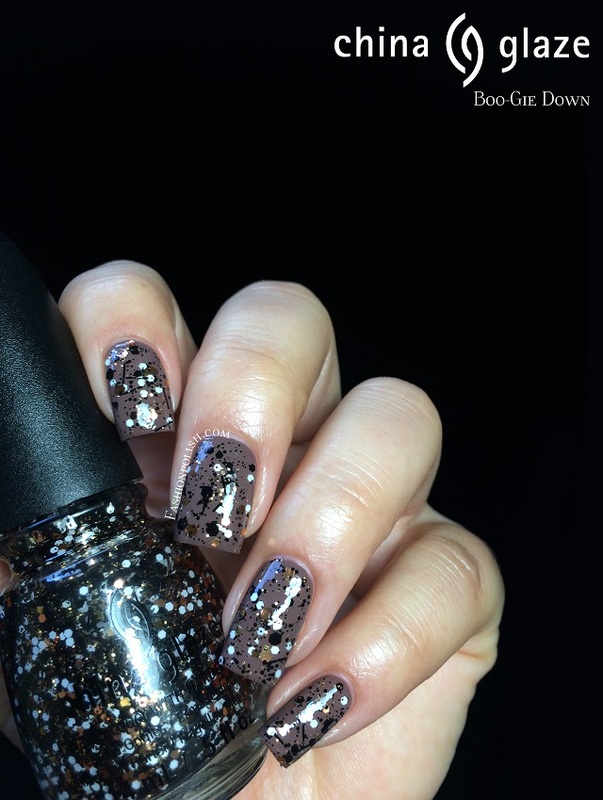 Boo-Gie Down is a "sticks and stones" black and white glitters with a strong touch of coppery gold. 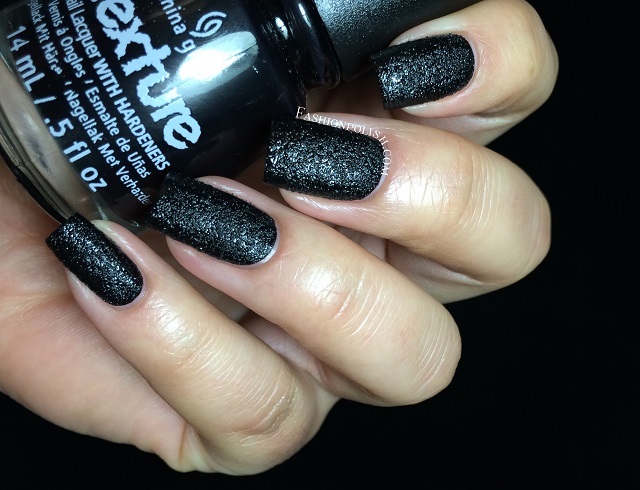 It's a beautiful topper and I can't think of anything like it released by China Glaze before, apart maybe from the Whirled Away which was just plain black and white. The good thing about Boo-Gie Down, apart from the extra gold, is that application was really easy and glitter pay-off excellent. I used 1 good dabbed coat over Street Chic. 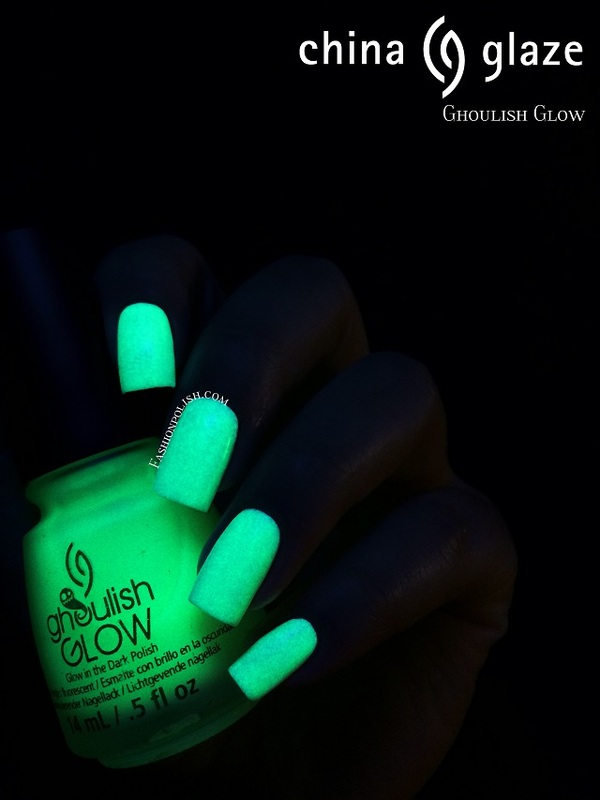 And finally Ghoulish Glow is a re-edition of the brand's seasonal glow-in-the-dark hit shade! Sheer, milky, effect pigment suspended in a clear base, that comes to life under black light or after a short exposition to a light source. 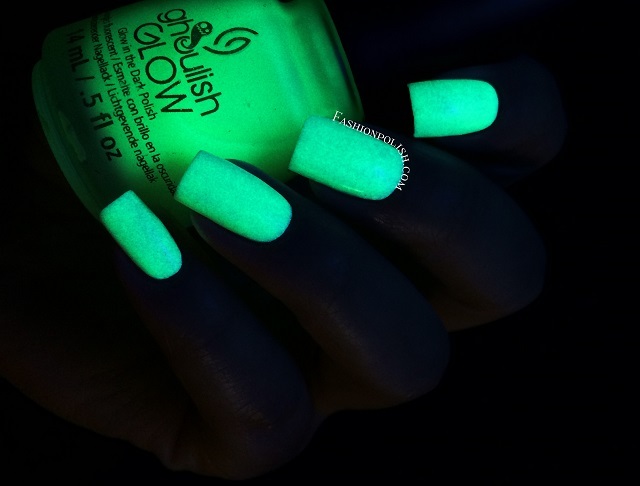 I used 2 thin coats over white here (as it tends to pop more over light colors) and used a black light bulb. 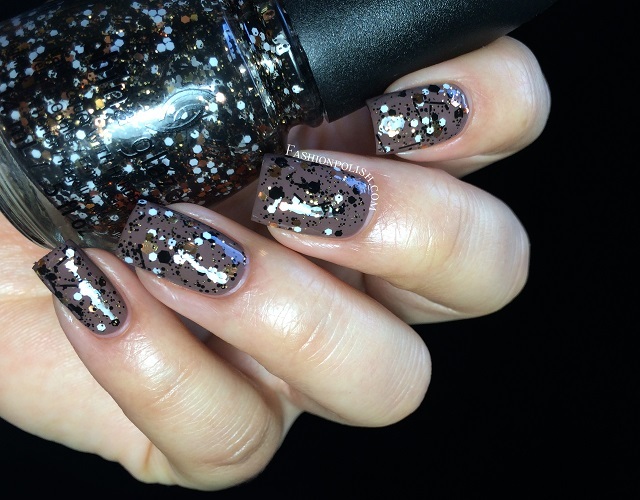 Another pretty awesome Halloween collection by China Glaze! I really love the diversity of colors, textures and finishes here, the only one I could live without is Fang-Tastic but all of the others are must-haves for me. What did you think about these? What's your favorite seasonal collection?